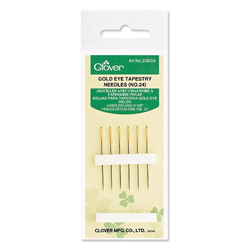 These needles have blunt points ideal for slipping between fabric, yarn and ribbons without splitting fibers. Use with wool, thick embroidery cotton, ribbons on canvas or open mesh fabrics. Used in ribbon work to prevent snagging.